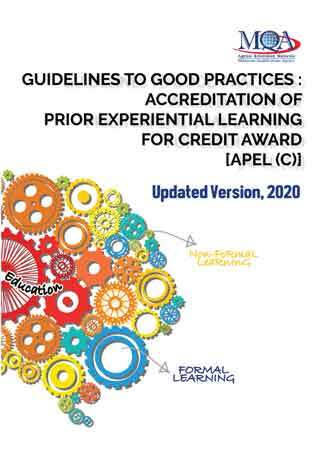 The purpose of this Guidelines to Good Practices (GGP) is to provide Higher Education Providers (HEPs) and relevant stakeholders with essential information pertaining to the processes and procedures in the implementation of APEL for credit award [APEL(C)]. This GGP acknowledges the different needs or requirements of the various courses/programmes. Hence, it is not intended to be prescriptive; rather it provides a range of measures and good practices which HEPs can adopt in assessing prior experiential learning. It recognises that HEPs can adopt alternative measures to assess learners’ prior experiential learning.